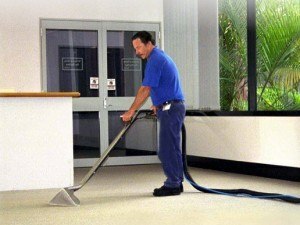 Denver Janitorial specializes in commercial carpet cleaning in the Denver area with our certified janitors, along with other supplementary janitorial services for the office. Our janitorial service company handles a wide variety of work, including corporate offices, hotels, restaurants, banks, shops, etc. It doesn’t take long before your fresh new carpet looks aged and dingy. A regular cleaning routine is a must to keep your air quality fresh and pull out that grime that gets deep down into the fibers. 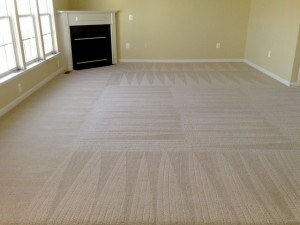 Our carpet cleaning services in Denver, CO get deep down into your flooring to remove odors and microbial. When properly maintained, carpet can improve indoor air quality, acting as a filter to hold soil, debris, and other contaminants. Every time you walk into your house, you bring in lots of pollutants-chemicals, pollens, soil, tar, dirt, car exhaust, etc. Pollutants get trapped in your home and have nowhere to go but down to your carpet. One example of a pollutant in your carpet is an insecticide. The day after you spray, the concentration is 10 times stronger in your carpet than outside where you sprayed. Denver Janitorial will clean your carpet not only for the physical appearance of your business, but also for the health of your staff. Contact our janitorail service company today. Request a bid online or call us at (303) 306-0290 for commercial carpet cleaning services in Denver, Colorado! We guarantee that your office will be satisfied with our commercial janitorial services. © 2019 - Denver Janitorial. All rights reserved.